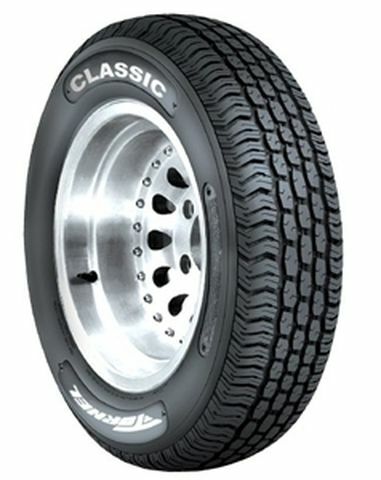 Purchase includes the Tornel Classic tire only. The wheel rim shown in the picture is not included. Picture provided is a stock picture from the manufacturer and may or may not reflect the actual product being ordered. All Tornel Classic tires are continuously developing with manufactured improvements. With that said, Simple Tire and the manufacturers have the right to change these tire specifications at any time without notice or obligation. Please Note: Specifications of the Tornel Classic tires shown above are listed to be as accurate as possible based on the information provided to us by Tornel tires. I have been amazed with these tires performance all around Even the appearance looks good. Delivery was A one right on time to my front door When it came to the purchase I was SHOCKED to get them with whitewalls The on-line picture of them showed them as raised white letter. This was my ONLY reason (RWL) for my purchase. When contacting the support staff, They where well mannered, honest and helpful. They even went as far as to send me a Free return shipping label. Which as you can read by my review I did not use. Just because of that service I plan on trying /making another purchase this Fall (2018) Simple Thank you for that Honest service. David Archer By submitting a review, each person received a sweepstakes entry.